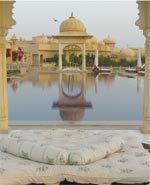 Global Spas | Spa Inc.
Overlooking Lake Pichola, Oberoi Spa in Udaipur, India offers two luxurious swimming pools and a full fitness centre. Ranked in the top 10 of the Conde Nast 2011 Reader’s Choice Spa Awards, Oberoi Spa offers rejuvenating body wrap treatments, healing and detoxifying therapies, private yoga, and traditional meditation sessions. The signature indigenous ritual “Spirit of Ayurveda” is a three-hour treatment consisting of an Ayurveda massage, herbal pouch massage, shirodhara therapy, and a specialty bath, inspired by the Ayurvedic principles of health and well-being. This session combines a series of traditional Indian therapies believed to invigorate the nervous system, ease the muscle and joint stiffness, refine the skin, clear the mind, and rejuvenate senses. In the heart of the gorgeous Lodi wine country in California, Wine & Roses Spa is a romantic getaway that spoils guests with luxurious pampering and exclusive local wine tasting. Across the five acres of green space, Wine & Roses is home to 79 rooms and suites, beautiful gardens, a pool and jacuzzi, a modern fitness facility and a cozy fireplace lounge. Deep relaxation massage packages, hydrating body treatments, and specialty salon services are offered specifically for singles, couples, gentlemen, or expecting mothers. Guests can carry the spa treatment back home after shopping at The Nest, a chic boutique that carries a line of therapeutic spa and salon products and organic skin care. The Blue Lagoon Spa, located in Grindavik, Iceland, centres around the healing powers of geothermal energy. 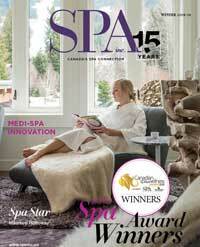 It was chosen as the best spa in Scandinavia by SpaFinder and the best medical thermal spa by Conde Nast Traveller. The Blue Lagoon has over 400,000 annual visitors who come to bathe and relax in the geothermal seawater, known for its positive effects on the skin. The Blue Lagoon developed a distinct line of products and services using minerals, silica, algae, and geothermal seawater to heal the skin. 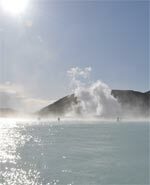 The bathing lagoon is 5,000 m2 and holds six million litres of geothermal seawater that is renewed every 40 hours. Featured in-water treatments include silica massages, energizing algae treatments, and salt scrubs that will leave your skin glowing. Recently voted Boutique Spa of the Year, Conde Nast Traveler, Reader’s Choice (UK), The Dorchester Spa exudes 1930’s glamour, elegantly refined with modern accents. Inspired by iconic British style, the spa features nine soundproof treatment rooms, creating a private yet spacious ambiance for guests to unwind. An impressive and extensive treatment list caters to a wide range of clientele including specialty treatments for expectant and new mothers, suitable from the twelfth week of pregnancy and for nursing mothers. The Spatisserie, exclusive to The Dorchester, features a luxurious room for guests to enjoy light lunches, afternoon tea, tasty petites fours, champagne, and cocktails. 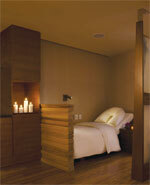 An oasis of relaxation nestled in the heart of midtown Manhattan, The Peninsula Spa defines luxury at its finest. This rooftop retreat is the ideal escape from the hustle and bustle of the hectic city lifestyle, bringing guests to a peaceful state of mind in a controlled and tranquil environment. Fully equipped with relaxing steam and sauna rooms, extensive spa treatments, a state-of-the-art fitness centre, and a glass-enclosed pool, The Peninsula leaves little to be desired. Setting the industry standards bar high, the spa’s skilled therapists practice the ESPA philosophy, which combines Asian, European, and Ayurvedic techniques, and requests that guests fully relax prior to the start of treatment. For this reason, guests are encouraged to arrive 60 minutes before appointments. Spread across half a hectare of lush greens bordering a tranquil pond, Amanyara Serenity Villa offers a scenic escape to an intrinsic self-exploration. Features include four double-treatment pavilions, a 108-square foot swimming pool, and an opulent spa boutique housed in the reception and relaxation pavilion. A Master in Residence leads guests in a picturesque outdoor yoga sala and pilates studio demonstrating the benefits of these holistic healing practices. The spa menu hosts a variety of natural scrubs, massages, wraps, facials, and beauty treatments ensuring that even the pickiest spa aficionado will leave impressed. 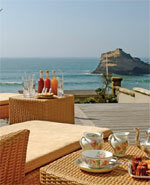 Each treatment is available in private suites or amongst other guests in the villas or guest pavilions. Hoteldorf Grüner Baum is set on 70 acres amidst the beauty of the mountains of Gastein and the Kötschach-Valley. The region’s healing waters and unspoilt nature have transformed Bad Gastein into one of the most renowned resorts. The thermal waters from 17 springs are up to 45°C on the surface. The warmth has a positive effect on the heart and circulation and is beneficial for the joints. The 1000m altitude also intensifies the success of healing. 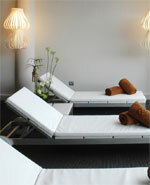 The spa’s menu includes exclusive beauty treatments, full body peels, different bathing and laser treatments. Many treatments are based on herbs from the local mountains along with high-quality alpine products, such as marmot, St John’s Wort and arnica oil. 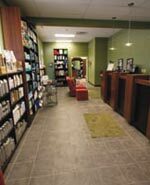 Voted the number one day spa in the city of Indianapolis for four years in a row, Transformations Salon and Spa is more than just a hair salon—it’s a total beauty transformation, specializing in the very latest in hair, skin and nail care. The dedicated staff soothes the senses, calms the spirit and energizes with personalized consultations. Escape the stress of life surrounded by the soft colors of nature against a backdrop of music that gently rejuvenates your spirit. Transformations’ treatments include massage, facials, body polishes, and nail services, among other things. It carries the following product lines: Goldwell, KMS, Redken, Kerasilk, L’anza, A.G., Kenra, American Crew, Paul Mitchell, Opi, Creative, and Cosmecuticals and Repêchage. Originally built as an official palace for the Bishops of Down, the Culloden Estate and Spa—one of the most prestigious five-star hotels in Northern Ireland—stands high on the wooded slopes of the Holywood hills, overlooking Belfast Lough and the County Antrim coastline. Palatial surroundings, fine antiques and the highest levels of personal service are combined to create a unique elegance. 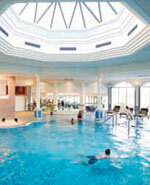 The spa—offers a full range of health and leisure facilities, and a full range of ESPA spa therapies. 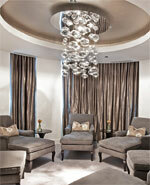 It incorporates eight treatment rooms and two dedicated relaxation suites. The spa health club also offers a full range of facilities, including a swimming pool, jacuzzi, marble steam room and needle shower and deluxe changing suites furnished with ESPA toiletries. Situated in the heart of the Green Mountains on a 120-acre estate at the foot of Mt. 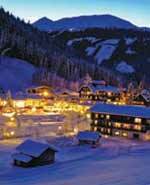 Mansfield, Vermont’s highest peak, Topnotch Resort and Spa is an intimate and friendly year-round resort. 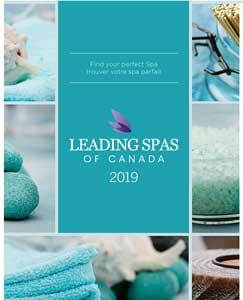 Ranked in the Top 10 Resort Spas in North America, also ranked #1 in Service in Condé Nast Reader’s Choice Spa Poll, Topnotch Spa covers 35,000 square feet with 30 treatment rooms offering over 120 rejuvenating and exotic spa treatments and services. 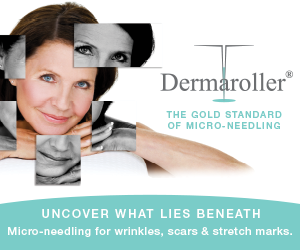 Many of the treatments highlight the use of indigenous Vermont oils and river rocks. 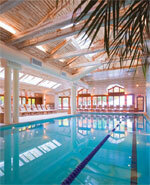 Indulge in facial or body treatment such as the Decléor Aroma Relax Wrap or the June Jacobs Cucumber Green Tea Facial. 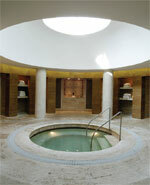 As Europe’s most awarded medical thermal Spa, Terme di Saturnia Spa & Golf Resort is a place devoted to sensory pleasure. An impressive Roman bath leads guests from the elegant hotel to the warm thermal spring which feeds four hot-water swimming pools, waterfalls, Jacuzzi and waterways. The spa features 53 treatment rooms, where guests are provided with regenerative treatments aimed to restore beauty and wellness. The most ancient and very effective treatment exclusivly at Terme di Saturnia is the unique and miraculous thermal water. Rich of gases, the water helps the blood and micro circulation, and has a gentle skin peeling action thanks to its cleansing, exfoliant and antibacterial properties. Watch the sunset over Istanbul from the rooftop bar with the breeze from the Bosphorus to cool your skin and stimulate your senses. Awarded “Leading Spa of the World”, the luxurious Amrita Spa offers the latest in glamour and serenity as well as separate steam, sauna, ice grotto, experience showers, hamam and relaxation areas for men and women. A team of specialists, trained in Eastern and Western techniques and using only natural products, pamper guests in the 14 treatment rooms. Treatments include hot stone therapies, chromatographic saunas, hydrotherapy, watsu aquatic massages, and steam bath aromatherapies. Ottoman customs and therapies inspire renewal and transformation. Glam and lavish easily describe this 14,000 square-foot palace. Inspired by 1920s-era French romance, intricately sculptured chandeliers, striking marble and lush grey chaises bring architectural style to new heights. 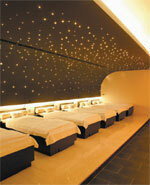 Guests escape from everyday life into an oasis of restorative treatments tailored to tantalize every want and desire. Whether unwinding in a sensuous body wrap, a soothing facial or a revitalizing Pilates session, The Spa at the Elysian will not disappoint. Using all-natural products, the deep cleansing facial is a must-have treatment: a full hour exfoliation session clears the skin of harmful impurities, unclogs pores and restores a natural radiance to its surface. A hybrid of trusted therapies from the Far East combined with modern Western advances brings the better of two worlds all under one roof. Boasting 20 luxurious treatment rooms, some of which are fully equipped to perform treatments and procedures such as Botox, acupuncture and chemical peels, there is refinement in the world’s first luxury macrobiotic retreat. The option of being pampered outdoors in a luminous rooftop garden while enjoying the breathtaking view overlooking the Mediterranean Sea, elevates this magical spa experience to new heights. Guests may indulge in mouthwatering healthy cuisine at SHA’s premier restaurant, SHAMADI, the perfect ending to a day of pampering. Voted the Best Resort in 2010 by Travel and Leisure Design Awards, La Mamounia Spa exudes soft elegance, panache and style. Warm minimalist decor and dim lighting beautifully encapsulates nine treatment rooms including two rooms specifically designed for a romantic couple’s retreat. 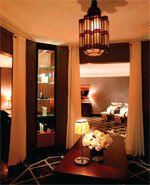 A fully catered relaxation room with sumptuous cuisine awaits guests. Just steps away sits a grand indoor ozone-heated pool, a posh boutique carrying the latest luxury skincare products, and six outdoor cabins ideal for guests who enjoy being pampered under the stars. Signature products including Black soap, Ghassoul clay, orange blossom water and Argan oil are just some of the traditional Moroccan beauty secrets produced exclusively for the spa. 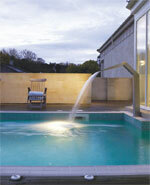 Stay in one of Britain’s historic houses and take to the healing waters of Bath at the Bath Spa Hotel’s luxury spa. Retreat from everyday life with treatments designed exclusively for the spa by Decléor. Indulge in a soothing herbal back massage or surrender to an all-day retreat. 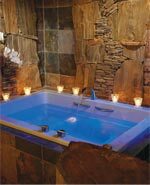 Then wrap up in a bathrobe, settle into a soft leather recliner surrounded by fragrant aromatherapy candles, and gradually rejoin the world in the softly-lit comfort of the relaxation room. 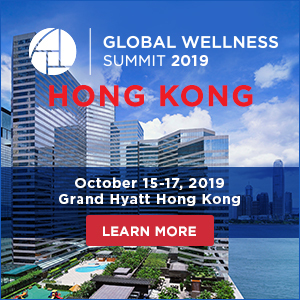 Enhance your well-being with an individually tailored health and fitness program, refresh in the indoor swimming pool and outdoor hydrotherapy pool or simply relax in the thermal suite. Formerly the summer mansion of Napoleon III and Empress Eugenia, the Hôtel du Palais overlooks Biarritz’ main beaches and the Atlantic beyond. The main hall, the private salons, the dining room and the grounds have all maintained their Second Empire style that defines Biarritz as a refined sea resort. The spa offers a range of Guerlain treatments and massages adapted to the guest’s needs including, shiatsu, foot reflexology or shirodara. In 2008, Hôtel du Palais was awarded Best European Resort Hotel; Condé Nast Traveler, Readers’ Choice (USA); Best European Hotel Spa, Condé Nast Johansens (GB); and Best Hotel Spa in Europe by European Press.